The lovely ladies that I work for did it again this season with a fabulous holiday gift– the Le Creuset fondue pot. 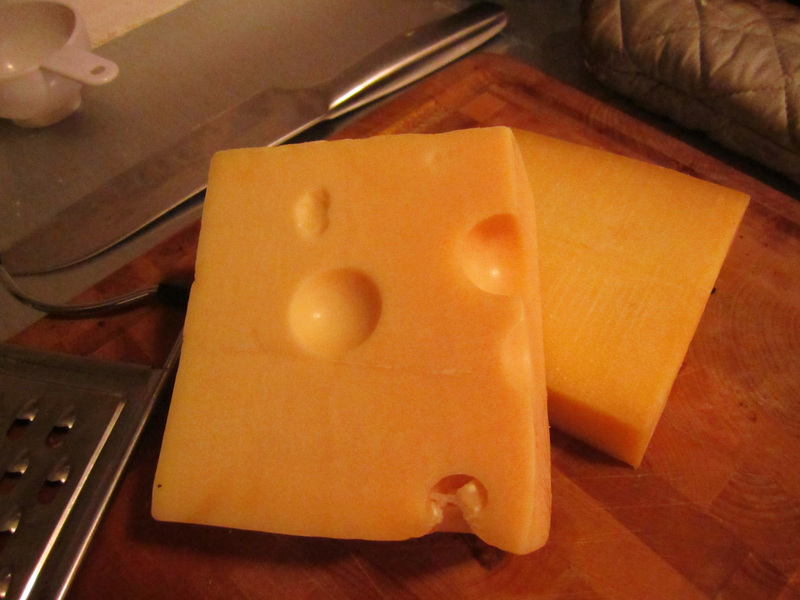 Since they thoughtfully gifted it with Gruyere and Emmenthaler, I needed to christen this baby quickly. 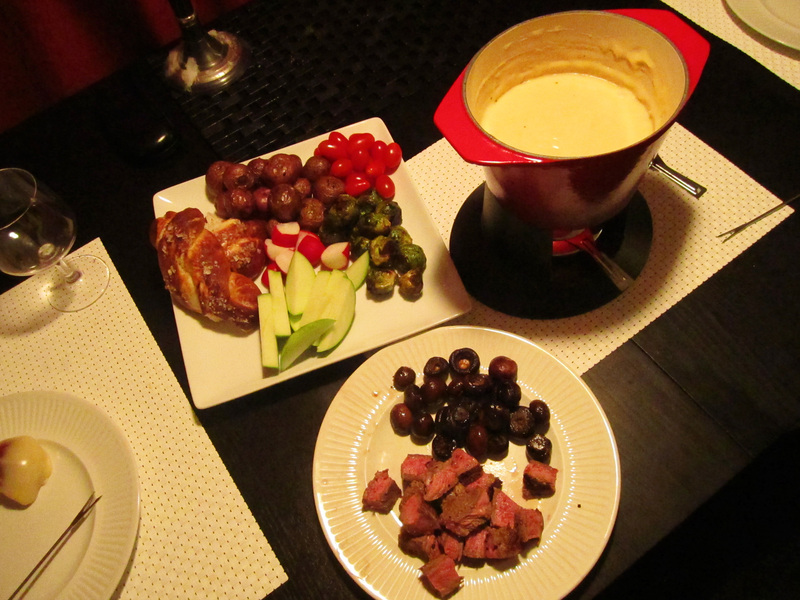 Once the New Year’s mayhem subsided at work, I treated the Gent to a Fondue Dinner courtesy of the tiny kitchen…. One of the most fun parts of fondue is putting together the array of dip-ables to accompany the molten cheesy goodness. From the minute that I decided to make a fondue dinner, I could not stop thinking about FONDUE AND PRETZELS. I roasted up some mushrooms, brussels sprouts, and baby potatoes (fondue and pretzels). I cooked up a peppery, medium rare New York Strip (fondue and pretzels). I chopped up some granny smith apple, radishes, and added some cherry tomatoes (pretzels…? PRETZELS???). 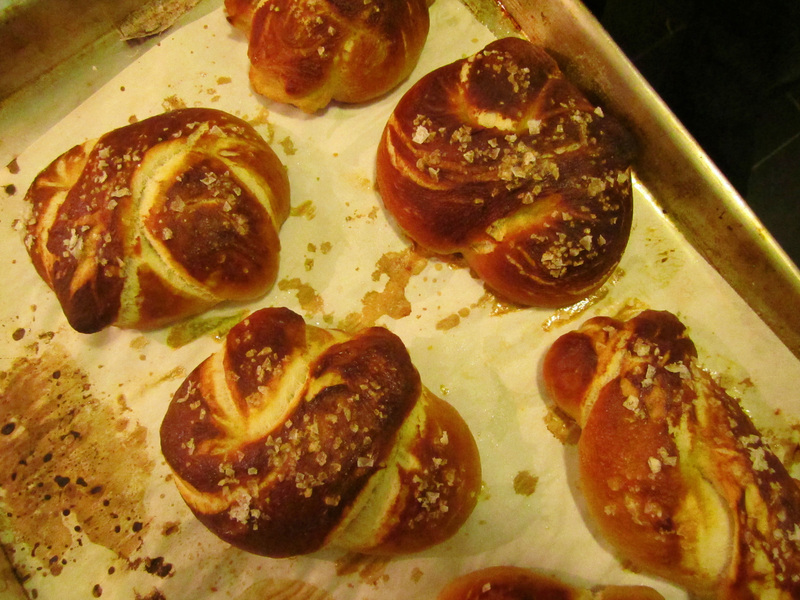 Then I made some fresh, soft pretzels. And omydearsweetgoodness, was I so ecstatic/depressed that I did. Ecstatic because they were so delicious, and came together so easily. Then depressed because now all I can think about–even 24 hours later– is FONDUE AND PRETZELS. But don’t say I didn’t warn you. In a small bowl, coat the cheeses with cornstarch and set aside. Rub the inside of the ceramic fondue pot with the garlic cloves. Over medium heat, add the wine and lemon juice, toss in the garlic cloves, and bring to a gentle simmer. After the wine simmers for a minute, remove the garlic cloves. Add the cheeses one handful at a time; stirring continuously until incorporated. Melting the cheese gradually encourages a smooth fondue. Once all the cheese is added and mixture is smooth, stir in cherry brandy, mustard and nutmeg. Add salt and pepper if necessary. Serve with chunks of French bread, or fresh soft pretzels. 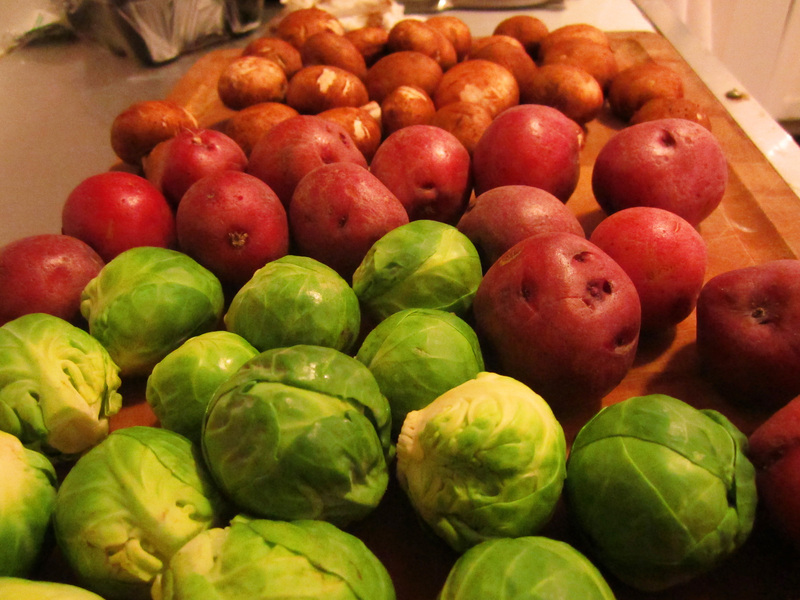 Some other suggestions are granny smith apples, radishes, bosc pears, and blanched vegetables or roasted vegetables. I love brussels sprouts with their bitter bite. Spear with fondue forks or wooden skewers, dip, swirl and enjoy. 1. Don’t eat directly off of your fondue fork or skewer. The fondue will be really hot right out of the pot and could burn your mouth, and at a party, double dipping is just tacky. 2. If you drop your dip-able item in the fondue, tradition requires that you kiss the person to your left. So be strategic…. In the meantime, turn the dough out onto a slightly oiled work surface and divide into 8 equal pieces. Roll out each piece of dough into a 24-inch rope. Make a U-shape with the rope, holding the ends of the rope, cross them over each other and press onto the bottom of the U in order to form the shape of a pretzel. Or for pretzel rolls, twist into corkscrews. Place onto the parchment-lined half sheet pan.